(Jakarta, January 21st 2015) – Archipelago International continues on its quest to be the first and only Indonesian hotel group that has all its Hotel General Managers officially certified by the American Hotel and Lodging Associations’ Education Institute (AHLEI) obtaining 18 more globally recognized CHA® certifications. A five day workshop was held recently at the favehotel LTC Glodok Jakarta where 18 of the groups most senior General Managers assisted by educators from the University of Central Florida and the American Hotel & Lodging Association labored intensively through more than 1200 pages of course materials and a 4 hour certification examine to obtain the “Certified Hotel Administrator - CHA® “accreditation. “We congratulate the recent graduates and plan to continue this significant effort until every one of our more than 120 hotel managers as gone through it and earned their CHA® certification. As a leading hotel operator with a growing network of more than 100 hotels and 11 brands it is our duty to advance the skills of our managers and bring international know how to Indonesia. Owners entrust us with the management of multimillion dollar assets so we must equip our GMs with this high level of competence and a globally recognized professional status.” said John Flood, President & CEO of Archipelago International. 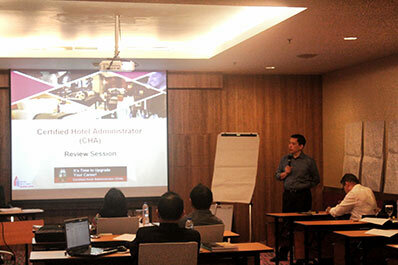 Seen in the image : Mr. Lukas Samali as Vice President Human Resources Archipelago International giving some guidance during CHA workshop. 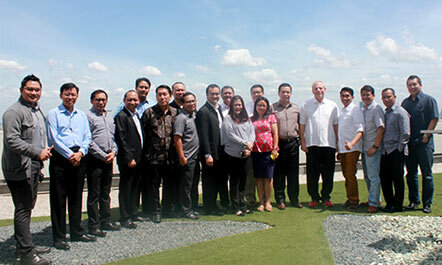 Seen in the image : All General Manager & Hotel Manager from Archipelago International taking a photo after CHA workshop.